In the early hours of February 4, 2008, while most of America was absorbed in the closing moments of Super Bowl XLII, Chief Petty Officers Nathan H. Hardy and Michael E. Koch were closing in on a terrorist compound as part of a small American Task Force in Iraq. Before the New York Giants defeated the New England Patriots, both men had lost their lives following a small arms conflict to clear the building of terrorist insurgents. On the other side of the world, news of the sacrifice had a very personal resonance for Dot Sheehan, Senior Associate Athletic Director at the University of New Hampshire (UNH). Nate Hardy was the son of a UNH professor Steve Hardy and his wife Donna, and Sheehan had recently started her own initiative to help honor the memory of both veterans and those in active service. After she had learned from a Boston radio broadcast that returning U.S. soldiers with head injuries most often asked for something to cover their heads to conceal their burns, wounds, and scars, she realized her UNH Athletics Department could do something to help. On learning of the deaths of the two young men, she had little hesitation in dedicating her fledgling program to commemorating the two young soldiers who had lost their lives, and Operation Hat Trick was born. Operation Hat Trick display at the Barnes & Noble at VCU Bookstore in Richmond, Virginia. 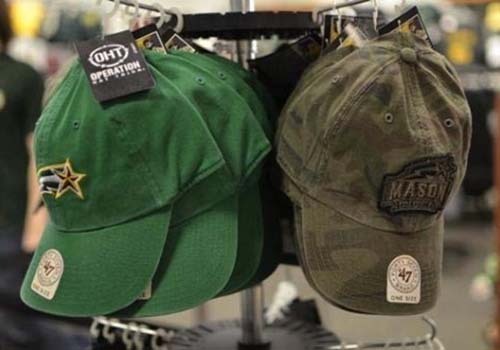 Since its inception in 2008, Sheehan’s idea to use hats as a way of raising funds for American soldiers and veterans has grown to become a major philanthropic merchandising program. It is also the latest charity to join the roster of BNspired, Barnes & Noble Colleges’ cause marketing program. 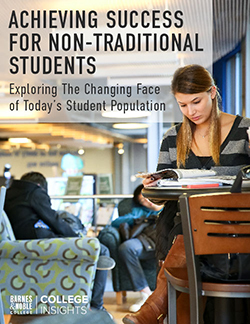 Though many students may have little connection to the U.S. involvement in Iraq and Afghanistan, Tamara Vostok, Manager, Consumer & New Media Marketing for Barnes & Noble College is not surprised by the positive student reception to Operation Hat Trick. “It’s a wonderful new program and really exemplifies the whole spirit of BNspired,” she says. 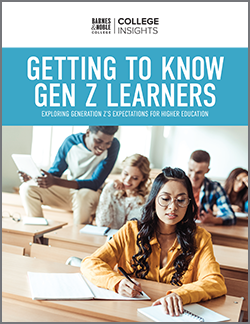 Giving back has always been extremely important to students, but the causes they support can also be quite diverse. “Students run the gamut of the type of different causes they’re really passionate about,” explains Vostok. The BNspired platform also includes a variety of programs that are important to students, including Alta Gracia, which pays factory workers in the Dominican Republic a living wage; League Collegiate Outfitters, which aims to rehabilitate and employ ex-gang members in Central America; and Habitat for Humanity, dedicated to providing decent and affordable housing. 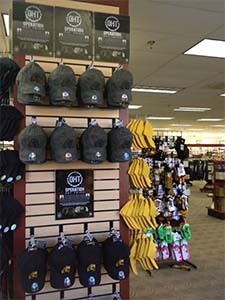 Operation Hat Trick offers a range of fashionable college-branded knitted hats and baseball caps. A portion of the proceeds from OHT apparel is donated to a variety of organizations that support the recovery of both wounded service members and veterans. Both Nate Hardy and Mike Koch now lay at rest together at Arlington National Cemetery, their sacrifice a testament to a long tradition of giving back to their nation through service. For its part, Operation Hat Trick hopes to spread awareness of that service to a new generation of young people. Charged with expanding the program beyond the 30 universities currently participating, Vostok is confident of the appeal to students. “Here’s a brand that gives back to such an important cause and at the same time represents the spirit of their university,” she says. Using the full arsenal of Barnes & Noble College marketing and social media channels to help spread the word, Operation Hat Trick will roll out to Barnes & Noble College campuses this fall, and students will have the opportunity to reflect and give back to those who have served.